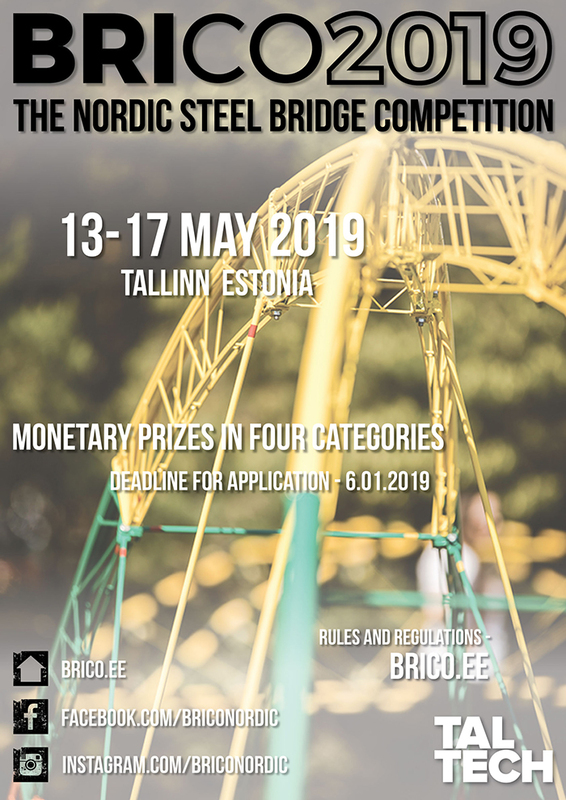 BRICO 2019 is a great opportunity for students studying civil engineering, mechanical engineering or architecture (students from other faculties are also welcome) to test their designing skills in competitive and fun atmosphere. Best teams will receive considerable monetary prizes. BRICO is not only about competition. During five days in Estonia a lot of different social and cultural events are planned as well. Food and accommodation will be provided for all the participating teams.